GOVERNMENT yesterday gazetted Statutory Instrument 137 0f 2017 renaming Harare International Airport to Robert Gabriel Mugabe International Airport. 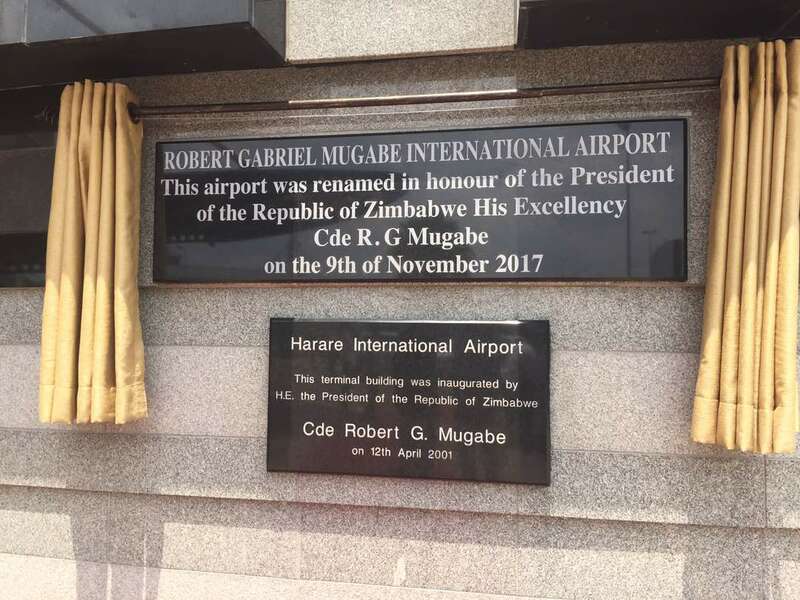 The airport was on Thursday renamed in honour of President Mugabe. According to the notice, the changes were made in terms of Section 4(1) of the Names (Alteration) Act Chapter [Chapter 10:14], through Local Government, Rural Development and National Housing ministry. “The schedule to the Names (Alteration) Act [Chapter 10:14], is amended in Part VIII by the insertion in the item relating to institutions and statutory bodies in Harare of the following Harare International Airport (old name) to Robert Gabriel Mugabe International Airport (new name),” read the notice. 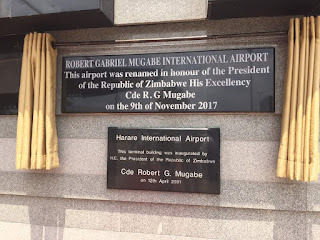 Announcing the name change on Thursday, Transport and Infrastructural Development Minister Joram Gumbo said RGM International Airport would soon undergo massive rehabilitation to tie up with the standing of President Mugabe, who is a global icon. Government, said Minister Gumbo, had since engaged the China Jiangsu International that refurbished Victoria Falls International Airport to work on the RGM International Airport. He said his ministry was now working on an Airports Development Master Plan to be shared with the rest of the Government. Minister Gumbo said the strategy would guide aviation development in pursuit of a goal of creating a hub of aviation services in the country.